Spokeo, Inc., operates a website by the same name that compiles consumer data and builds individual consumer-information profiles. At no cost, consumers can use spokeo.com to view a report containing an array of details about a person’s life, such as the person’s age, contact information, marital status, occupation, hobbies, economic health, and wealth. More detailed information is available for users who pay subscription fees. 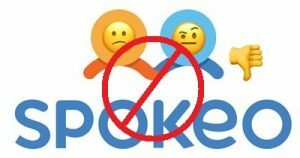 Spokeo markets its services to businesses, claiming that its reports provide a good way to learn more about prospective business associates and employees. Robins’s suit alleged that Spokeo willfully violated various procedural requirements under FCRA, including that Spokeo failed to “follow reasonable procedures to assure maximum possible accuracy” of the information in his consumer report. (Id. § 1681e(b).) He alleged that, as a result, Spokeo published a report which falsely stated his age, marital status, wealth, education level, and profession, and which included a photo of a different person. Robins alleged that such errors harmed his employment prospects at a time when he was out of work and that he continues to be unemployed and suffers emotional distress as a consequence. In evaluating Robins’s claim of harm, the Court asked: (1) whether the statutory provisions at issue were established to protect his concrete interests (as opposed to purely procedural rights), and if so, (2) whether the specific procedural violations alleged in this case actually harm, or present a material risk of harm to, such interests. As to the first question, the Court agreed with Robins that Congress established the FCRA provisions at issue to protect consumers’ concrete interests. The Court previously observed that FCRA “was crafted to protect consumers from the transmission of inaccurate information about them” in consumer reports. (Guimond v. Trans Union Credit Info. Co., 45 F.3d 1329, 1333 (9th Cir. 1995); see also Spokeo II, 136 S. Ct. at 1550 (Congress enacted FCRA to “curb the dissemination of false information”); S. Rep. No. 91–517, at 1 (1969) (“The purpose of the fair credit reporting bill is to prevent consumers from being unjustly damaged because of inaccurate or arbitrary information in a credit report.”). The take away is that while all violations of the FCRA may not be enough for liability, in this case, Robins passed the hurdle and Spokeo will likely face a trial on the matter. This entry was posted in Cases and Comments about Social Media, Legal and tagged Fair Credit Reporting Act, FCRA, inaccurate listings, papplaw, spokeo, Spokeo v Robins by ericpapp. Bookmark the permalink.